I thought I would present a post that I have not yet read online, which might be an eye-opener for some readers too. 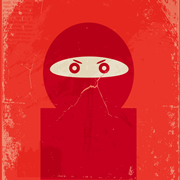 To anyone that has been working in the field of online marketing in the last 5-years you will have seen lots of change. For anyone that has been working beyond 10 years you’ll probably feel like quitting at the moment. Google has worked on the minds of not just webmasters, but also those companies that are employing the services of a webmarketing company. The key message: Google does not approve of methods that cause unnatural changes to occur in it’s index webmarketing service providers. Behavioural change communication has been in full effect on outbound comms from Google HQ aimed at the SEO community and those nasty rank manipulators. Typically Google tends to single out a couple of high-profile companies. For example there was JCPenny that was singled out for doing pretty much what every SEO company had been doing to some degree since day 1 (let’s leave aside SEO evangelists that talk the talk but in fact could’t rank a site on the first page of Google if their life depended on it). This was followed more recently by the case of Interflora. And what do these high profile cases show? That it was still possible to affect change in Google, show it up as fallible (unsettling the stockholders) and therefore continued to encourage companies to target budget at unpaid optimization strategies (natural listings), instead of paid-for optimization strategies (Adwords). In the New York times article it was reported that JCPenny had enjoyed the unnatural rankings for 3-months before it was finally brought to the attention of the Google web-spam team (god bless ’em). What are the economics of ‘spamming’ (according to Google) or simply getting page 1 for your client (according to webmarketing). The following table shows a list of keywords, the average daily volume of visitors a site in positions 1-3 might expect to receive, and the cost of every click Google would collect. 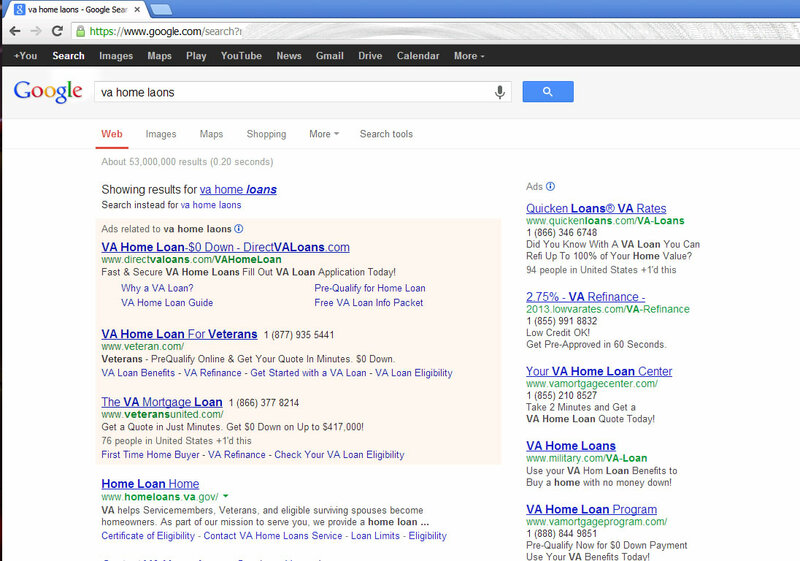 That’s right, “va home loans” currently enjoys a cost per click of $21.60, with an estimated 80 clicks daily. That’s $1,780 daily for that one keyword alone. …it might actually be worth the risk! However, before you all jump in to serious web-optimization, the reality is that Google is consistently finding ways to ensure that it’s free listings get pushed further and further down the search results, thus even if you do get position #1 in an organic listing, you’ll get very little traffic for it! Here is the on-screen reality of this keyword. There is just one organic listing available for optimization naturally with this Google result (all the rest are paid). 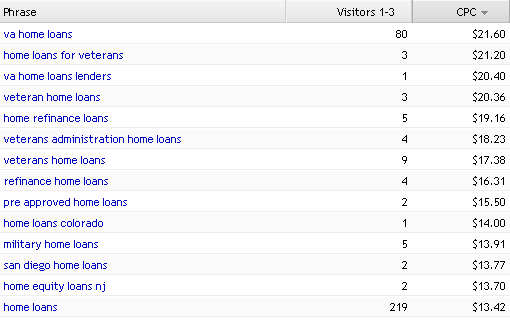 Assuming that it was still possible to get the position that is currently being held by homeloans.va.gov, the relative traffic for a listing in such a position would go from a daily average of 80 clicks right the way down to 1 click. Therefore, once the traffic level falls below a certain threshold it is not economically viable to manipulate the rank with forbidden methodologies. Any Low hanging fruit left? Take a look again at the table that shows the advertising costs with Adwords, but this time note the cost associated with keywords such as “va home loans lenders”. What you will see is that even though there is the likelyhood that only 1 visitor a day will come from this keyword, there is still a $20.40 cost to send that visitor to you. This is the same across just about every niche possible on the web. What’s more if you were hoping to perhaps optimize for web traffic mis-spellings then Google will over-ride the mis-spelling and show results with the most popular version of the keyword, or via Google instant, ensure that a high value PPC keyword is presented to the user via the drop-down keyword suggestions when the user is filling in a Google search.